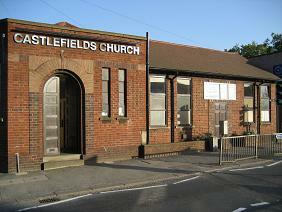 Our morning services and evening services are held at Castlefields Church on Traffic Street. There is limited car parking immediately behind the church for those with elderly folk or with very young children. Parking in the Royal Telegraph Pub Car Park (accessed from Hope St / Carrington St) is £2.50 for 2 hours or £4.00 for 4 hours. Sovereign Car Park on Canal St (Canal St – off London Road) is £3.50 for 4 hours or £5.00 for the whole day. Copeland St Car Park (situated on Copeland St which is between the Bingo Hall and Bounce Revolution) is £2.00 for 2 hours, or £3.50 for 12 hours.